BEN AFFLECK "WHY I TURNED DOWN SUPERMAN"
Oscar buzz is currently building around Ben Affleck and justly so ,"Best Picture", "Best Director" and "Best Actor" have all been mentioned in reaction to his excellent The Town. The critically acclaimed director briefly chatted to Deadline about missing out on the chance to direct the upcoming Superman reboot and just how tempted he'd be to take on a project of that size in future. Affleck also shared his thoughts on Christopher Nolan and Zack Snyder. Affleck who played Superman portrayer George Reeves in Hollywoodland, stated: "The one benefit of having done all kinds of movies as an actor is, you learn the pros and cons of being tempted to do a really big movie because it costs a lot of money. With Superman, I think they’re going to do a great version. Chris Nolan is brilliant and they’ve got a great director for it. I’ve love to do something like Blade Runner, but a lesson I’ve learned is to not look at movies based on budget, how much they’ll spend on effects, or where they will shoot. Story is what’s important. Also, there are a lot of guys ahead of me on the list to do epic effects movies." 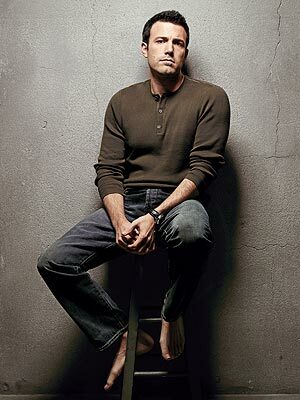 I'm reading: BEN AFFLECK "WHY I TURNED DOWN SUPERMAN"Tweet this!